Thinking about Lavender, we see a beautiful Provence with its lavender fields. 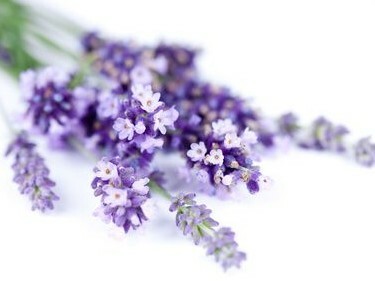 But the properties of Lavender are also used in cosmetics - especially those whose needs for acne and oily skin. The most valuable compounds of Lavender are tannins, flavonoids, coumarin and essential lavender oil. Lavender helps to calm down, calms nerves and helps you to fall asleep. It works well in the states of muscle tone, hence the use of it by the masseurs. Due to organic acids lavender gently exfoliates the skin, accelerating its regeneration. The most valuable component of lavender is prepared with the lavender flowers. It was he, and more present in the oil terpenes exfoliates dead skin. Thanks to it, the skin better accepts nutritional ingredients in cosmetics. Lavender oil works well as an antibacterial agent that fights skin inflammation. It prevents scar formation, and existing substantially cleared. It's very good for people who want to reduce the visibility of stretch marks or cure eczema or acne. Gel peeling with lava effectively cleanses the skin of the feet, removes rough skin and prepares to use other cosmetics. Lavender, arnica and horse chestnut reduces swelling and irritation, stimulates blood flow. As a result, the feet are relaxed and fresh throughout the day. After applying the peeling we recommend using the Balm. Cosmetic lightweight cream-gel texture and relaxing aroma of lavender. It contains argan oil, sunflower and shea butter. Softens, smoothes and regenerates the skin. It prevents dryness and roughness. Enriched with extracts of lavender, arnica, horse chestnut, mimosa and panthenol, reduces swelling and a feeling of "heavy foot". The best effect is achieved after application of peeling or salt bath. 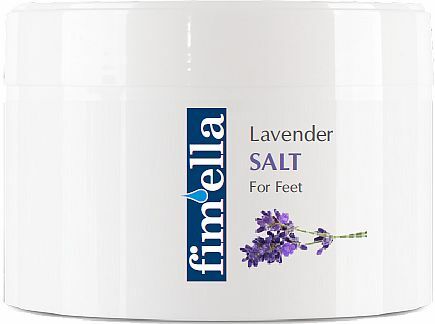 Salt for feet with Lavender, Lotos and Dead Sea minerals, which have a high concentration of calcium, potassium, magnesium, iodine, bromine & iron. Effectively cleans and relaxes. Lavender foot bath can be an element of aromatherapy. The feet are particularly vulnerable to injuries and irritation, because we base on them the heaviest burden. Frequently we care only about the appearance of the nail, and we forget about the watered properly, peeling off dead skin and prevent calluses. When your feet feel and look bad, make a quick renewal program. Prepare a bath for your feet: hot water, add a handful of salt cosmetics. The best compositions are based on salts from the Dead Sea, exceptionally rich in mineralsKeep your feet in warm water up to 15 minutes because the skin and nails will be too soft. Dry your feet and use a special peeling feet. Rinse it and do a massage with cream.